It was another interesting month in Massachusetts birding. Let’s take a look at a few of the most exciting bird sightings as suggested by our experts. This beautiful animal is the fertile hybrid of two closely-related birds, the blue-winged warbler (Vermivora pinus) and the golden-winged warbler (Vermivora chrysoptera). 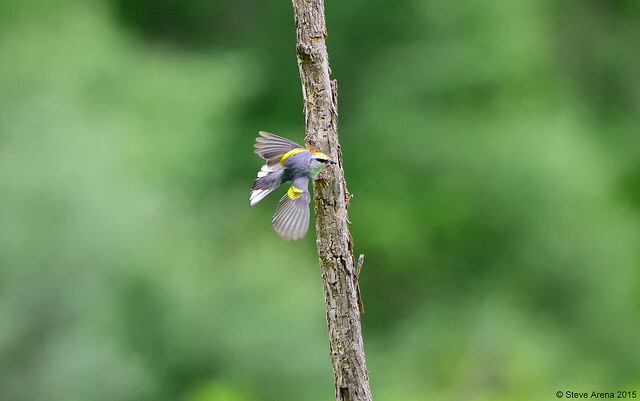 The offspring of these species generally fall within two categories: the predominately yellow and rarer “Lawrence’s warbler” and the white and blue-grey “Brewster’s warbler.” In April we reported the sighting of a Lawrence’s warbler, and this past month a Brewster’s was seen at Westboro Wildlife Management Area. The black skimmer has an amazingly mismatched bill: the lower half is much longer than the upper half. When looking for food, it skims the surface with its lower bill in the water, snapping up any suitable prey it touches. 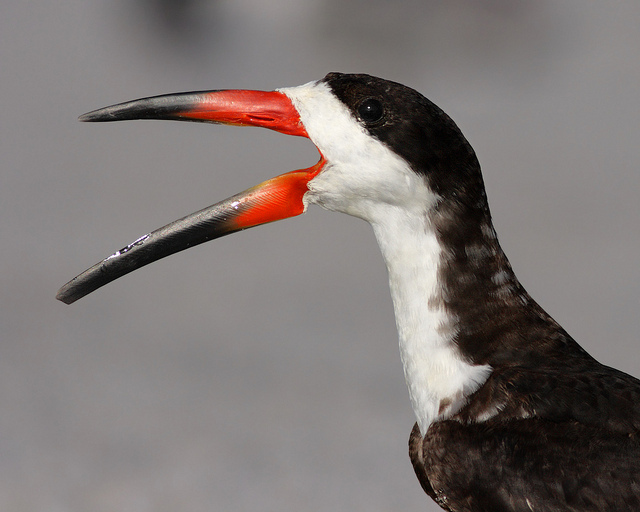 Also remarkable: black skimmers have a slit-like pupils similar to those of a cat. This is primarily a southern species, typically breeding south of Massachusetts, though one or two pairs often nest as far north as Massachusetts. Two were spotted at Duxbury beach last month. 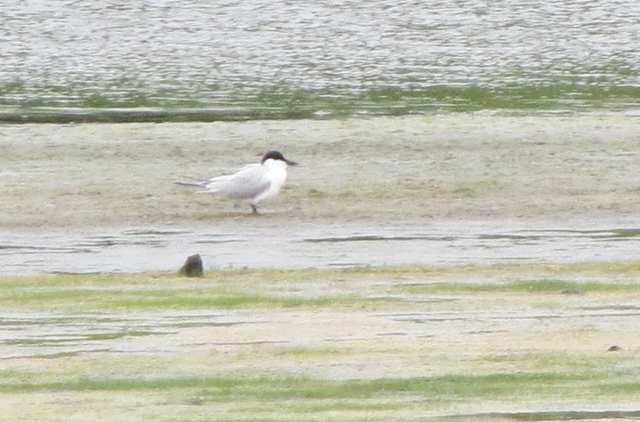 This unique tern has a thicker beak than most other tern species, giving it a somewhat gull-like appearance. Its diet is less specialized than most of its relatives; it will happily eat fish, crustaceans, insects, lizards, and more. Its broad range includes parts of Europe, Asia, Africa, South America, and Australia, as well as portions of coastal North America. One was observed last month on Plum Island. That’s slightly north of its regular range. Night-herons are stout, relatively short-necked birds that often hunt at night, capturing a broad range of prey. They have startling red eyes. 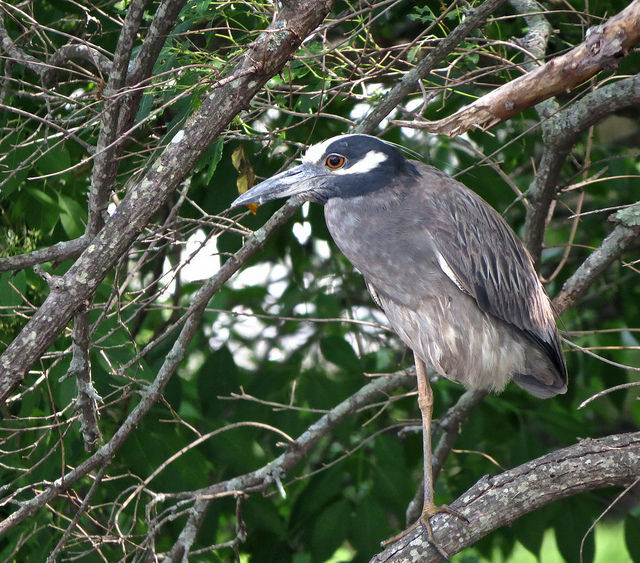 The black-crowned night-heron is more commonly spotted in our area than the yellow-crowned night-heron, and the latter typically spends the summer in the southeastern United States. Several were seen in the eastern part of the state. 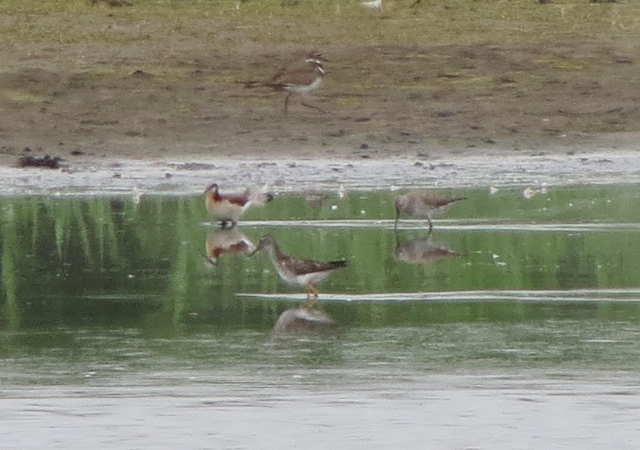 This rather long-necked sandpiper has a bill that is slightly downturned at the tip, and it feeds by probing in mud, using a similar feeding style to that of a snipe a dowitcher. It breeds on the Arctic tundra and winters in the Caribbean and South America, generally appearing in Massachusetts in small numbers only during its fall migration. That’s why a sighting on June 16 on Plum Island was a nice surprise for this date. This entry was posted in Nature Notes and tagged bird sightings on July 13, 2015 by Rosemary. Who: Naturalist and salamander enthusiast from Canada. Likes: Learning new ferns. Favorite part of the job: Hanging out with other people who like nature!